It’s always fun to go through my parents’ old memorabilia and newspaper clippings – you never know what you’ll find! This article was published in a northern New Jersey newspaper around 1954 or 1955 (I can’t seem to find it on any newspaper sites). 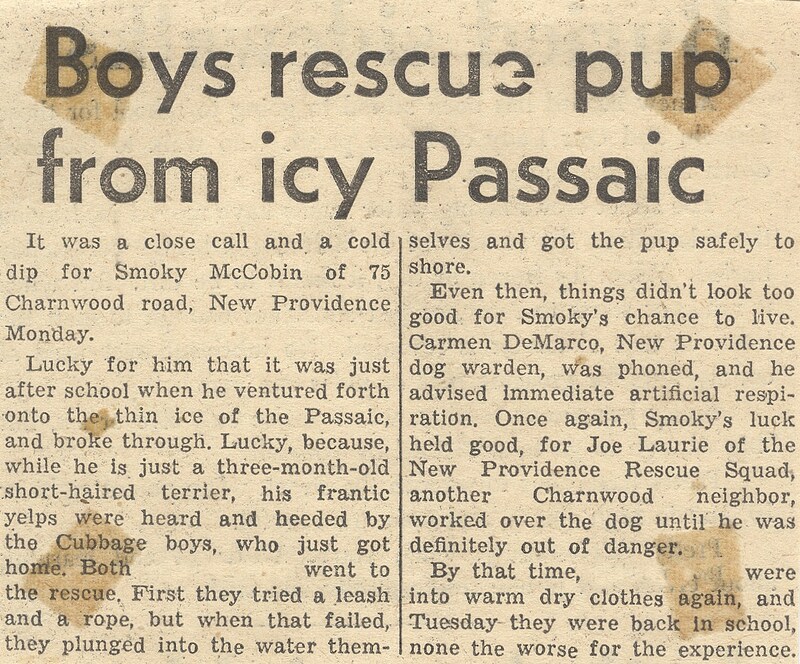 My father is one of the Cubbage boys who rescued the pup! He was about 13 or 14 years old and his brother was 10 or 11 years old. It’s another reminder to ask our living family about the pictures, memorabilia, and records that we find. They might have more details about the story … or in some cases, corrections! © 2017 LAURA CUBBAGE-DRAPER. ALL RIGHTS RESERVED.